» PDF (2.70 Mbytes). This edition translated by Bhikkhu Ñāṇamoli has been made available by Access to Insight with the effort of volunteers. The PDF is protected by copyright, but content copying is allowed and searching the text is now much easier than finding the relevant passage in the printed copy. Congratulations to all those who made this important work available for serious students of Buddhist Meditation. 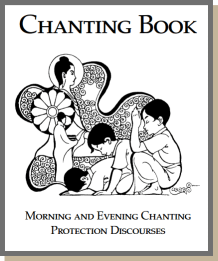 Download this PDF (329 K) to make your own Chanting Book. Formatted for printing as an A5 booklet on A4 landscape paper. The book is in Romanised Pāḷi with English Translations. All of the publications on this site are provided as a gift of the Dhamma for the welfare and happiness of anyone and everyone. You are invited to read them or print them out for your own use without any charge or obligation. To support the Association, send donations to the Treasurer. This means that you may not use any part of these publications, nor any of the copyright graphics, on your own website, nor print them for commercial distribution. To publish them, or to include an extract, permission must be sought from the copyright owners. I believe that the views expressed in these publications are in accordance with the teachings of the Buddha. I would be pleased to know of any errors, but I have no time to correspond with those who hold opposing views. There are many Buddhist Forums that one can visit for polite discussion and debate. The Buddha advised that one should test his teaching as one would test gold before buying it. 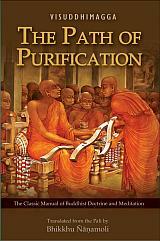 The original Pāli texts and many translations of the suttas quoted can be found from the Links page. I am not able to provide free booklets for everyone who visits my website, but you can obtain a PDF file of the original booklet. From the PDF file you can easily print your own copy. Note that the booklets should not be sold, but titles by Bhikkhu Pesala can be given away free without any further permission. To distribute other books, please seek permission from the authors. Graphics and fonts are embedded in the PDF file, so everything should be exactly the same as the original booklets, with correct accents on Pāḷi words. If you spot any errors, or have trouble printing from the PDFs, please let me know at once so that I can update the file. You can download PDF files wherever you see the PDF-XChange logo. PDF files are uncompressed, as the space saved by compression is just a few percent. A much better alternative to Adobe Reader is »» PDF-XChange Editor. This has additional features such as annotation of PDF files, and is extremely customisable.